Our tradition of storytelling has been passed down through generations. Now, we want to share these stories with you. 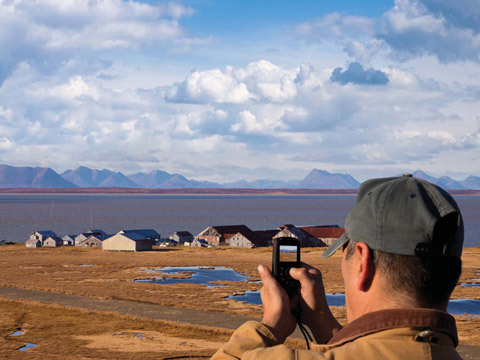 Bristol Bay Native Corporation invited its shareholders to share their voices, views and values through personal videos that show the people, places and cultural practices most important to them. All footage was shot on one day: October 15th, 2011. Sixty-two entries were submitted from as far south as Chignik Lake, west to Togiak, and east to Kokhanok, as shareholders of all ages took part in this innovative competition. Entries were edited and compiled into a short film produced by Bristol Creative Services and Affinityfilms, Inc.
Sonya Senkowsky heads up Bristol Creative Services, a division of BBNC subsidiary Bristol Industries, LLC. A writer and editor for print and multimedia for more than twenty years, she is co-author of the books Alaska Then and Now: Anchorage, Juneau & Fairbanks, and Alaska’s South Coastal Wildlife Viewing Guide, and was a contributor to the book Buzz Marketing for Blogs. She earned her MA in journalism from the University of Maryland, College Park, and her BA from La Salle University, in Philadelphia, Pa., and has lived in Alaska since 1996. Mary Katzke, founder of Affinityfilms, Inc., has produced more than thirty documentaries and feature films over the course of her career. She graduated from the University of Texas at Austin with a degree in radio television and film, as well as New York University's Graduate Tisch School of the Arts with an MFA in writing and directing film and television.